One Young World is pleased to share that Brazilian OYW Ambassador Tabata Amaral de Pontes was elected as a member of the Lower House of the National Congress, representing the State of São Paulo on Sunday 7 October, 2018. Representing, PDT, or referred to in English as the Democratic Labour Party, she is one of the youngest elected official in Brazil’s elections this year. Having focused her campaign on education reform, job creation, housing and anti-corruption, she received 264,450 votes. Tabata launched her campaign as part of RenovaBR, a movement that is driving a renewal in Brazilian politics. 16 of RenovaBR's 120 candidates won seats in the Legislative Assemblies and National Congress - PDT won 28 seats in the Chamber of Deputies and 4 in the Senate. The General Election in Brazil has received global attention due to the controversial far-right Presidential candidate, Jair Bolsonaro. 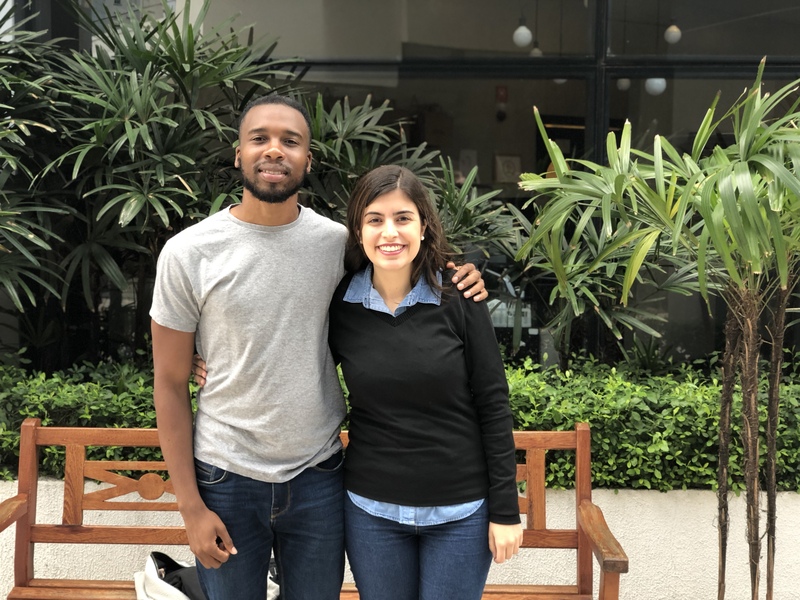 At the One Young World 2017 Summit in Bogota, Colombia, fellow OYW Ambassador Kenny Imafidon, Managing Director and Co-Founder of ClearView Research, heard about the drive to increase youth voting participation in these critical elections, and Kenny resolved to share his expertise. To make Kenny's mission happen, One Young World sought support from KPMG International. The project was undertaken in pursuit of the Sustainable Development Goals (SDGs), namely SDG 4 to 'ensure that all learners acquire the knowledge and skills needed to promote sustainable development' and SDG 17 to 'enhance the Global Partnership for Sustainable Development, complemented by multi-stakeholder partnerships that mobilize and share knowledge [and] expertise…to support the achievement of the SDGs in all countries, in particular developing countries." KPMG is a leading advocate of OYW, sending delegates to the annual OYW Summits, and supports delegates from KPMG and those attending under the Vodafone Foundation Scholarship. Kenny was a Scholarship recipient himself. As part of the "Inspiring Millennials to be active citizens through Registration & participation in Brazil" initiative, Kenny identified key organisations to increase youth engagement in the elections, including Brazil’s National Youth Council and Acredito, a national and supra-party political movement that aims to support a new generation of leaders who can build a new way of doing politics for a more representative, more developed, and ethical country. To achieve a shared vision for a more inclusive, democratic outcome which supported SDGs 4 and 11, the overall objective of the project was to design an election campaign which reflected the needs, desires and voice of youth, drive youth voting, and promote youth participation in actively shaping their democracy. Described by Huffington Post UK as a "young rising star making waves in UK politics," Kenny has written influential & award-winning publications and has led on innovative partnerships with global brands such as Uber, Tinder and Deliveroo, on campaigns to get young people registered to vote and turnout in elections. Kenny was formerly a director of Bite The Ballot; the organisation are creators of the annual National Voter Registration Drive in the UK. Their recent campaign ahead of the 2016 EU referendum, #TurnUp, was the most successful registration drive in any Western democracy (per capita) contributing towards 1.1 million under 34 year olds registering to vote. His work has taken him around the world to countries such as the United States, Belgium, Austria, Tunisia, Israel, and Hong Kong. At the One Young World Summit 2018, Tabata and Kenny will co-present the workshop ‘How to successfully win an election’ in which they will share their insight and expertise in an effort to inspire other young leaders to run for office. The pair recently featured on Global Goalscast’s latest episode 'The Next Generations: We Can't Save the World Without Them' which focused on the role of young leaders in driving progress on the SDGs. Congratulations to Tabata and her team!